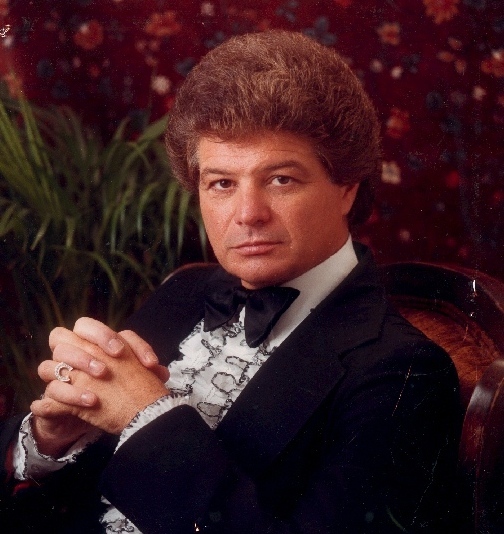 Frank Ricci is a world-class singer, showman and respected as one of the most dynamic singers in America. His outstanding vocal artistry combined with his genuine warmth and contagious enthusiasm create a truly inspiring unforgettable experience! "Frank Ricci is an amazing talent! He is a combination Frank Sinatra, Engelbert Humperdinck, Tom Jones, Neil Diamond and Conway Twitty all rolled into one." Frank’s show, "Frank Ricci & Friends" pays tribute to dozens of stars he had the privilege of working with that left an indelible mark on music worldwide. Frank has received an amazing 14 standing ovations during one show. Frank wanted to be a singer since he was four years old and told his mother that is what he was going to be when he grew up. From his early years he would sing whenever he could. He would join singing groups and harmonize for hours on the corner and helped form what was the beginning of the Doo Wop phenomina of the 50's. He entered a worldwide talent contest while in the military and placed second in the world. After the military Frank moved to Southern California. He walked into a hotel across from Disneyland, approached the Manager and asked if he could sing a couple of songs with the band. The Manager said, "yes". When he was finished, the Manager walked up to him and said, "Before you started singing, four ladies who had been seated for a while were walking out to leave, as soon as you started singing they turned around and walked back in. When can you start and a career was born. Soon afterward he was headlining in Las Vegas alongside Frank Sinatra, Elvis Presley, Engelbert Humperdinck, Tom Jones and superstars like Reba McEntire, Tony Bennett, Marty Robbins, Louis Prima, Don Rickles, Phil Harris and Tammy Wynette. "I want my audience to leave my show knowing that they experienced something they won't soon forget"